When you wake up in the morning do you feel a little extra tired? That you almost feel like you've lost some blood while you were in dream world? 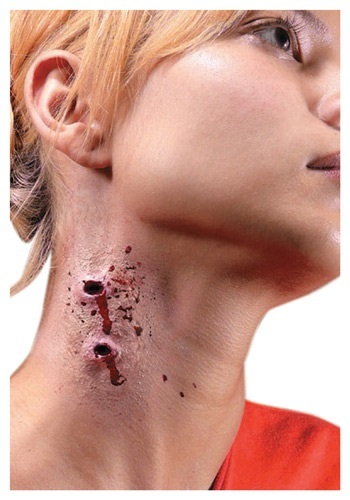 You better check your neck because you may have just been the victim of a vampire attack. No? Oh, phew! Except...there was a tiny part of you that was exhilarated by the possibility of joining the vampire clan. Well, how about this middle ground? Give yourself the look of a vampire's favorite snack (without the dying and having to become a vampire for all of eternity) with the help of this make up kit. It has everything you need--including instructions--and is the perfect way to add a little gore to your costume this Halloween, without going over to the dark side.